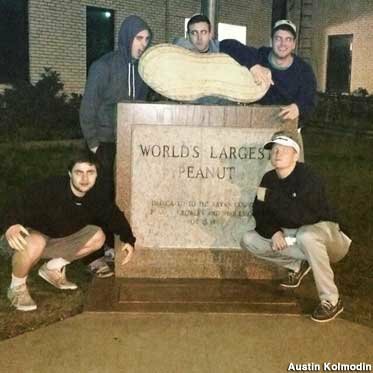 The small town of Durant is proud to be home to the World's Largest Peanut. It is commemorated with a statue on the corner of the lawn outside City Hall. 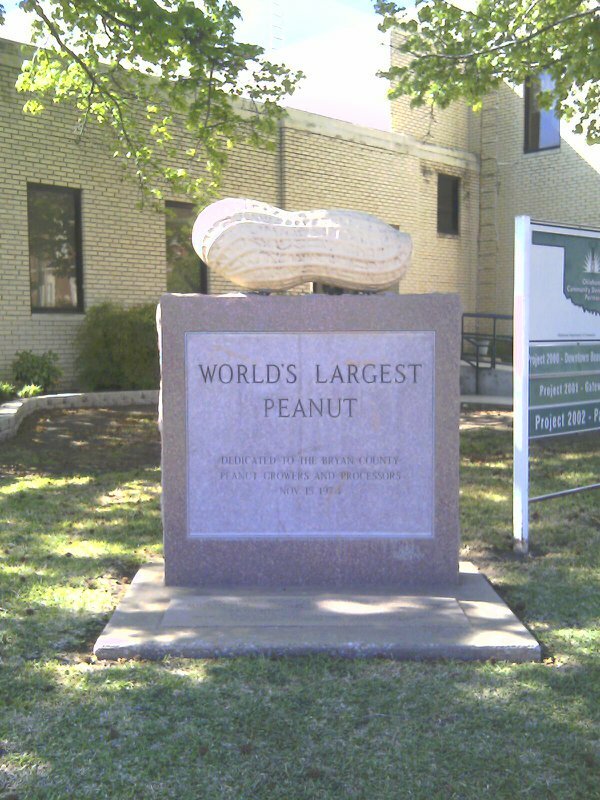 The inscription reads, "Dedicated to the Bryan County peanut growers and processors." The statue was dedicated in 1974 and remains a popular for visitors to stop and snap a photo today. There is also a time capsule that was buried in 1973 just a few feet in front of the peanut. It will be opened in June of 2023. Located at City Hall. From US 75/69 into town, head east on US 70/Main St. Drive about 1.5 miles, then turn left on 3rd Ave. The peanut is one block north, on the corner of 3rd & Evergreen.